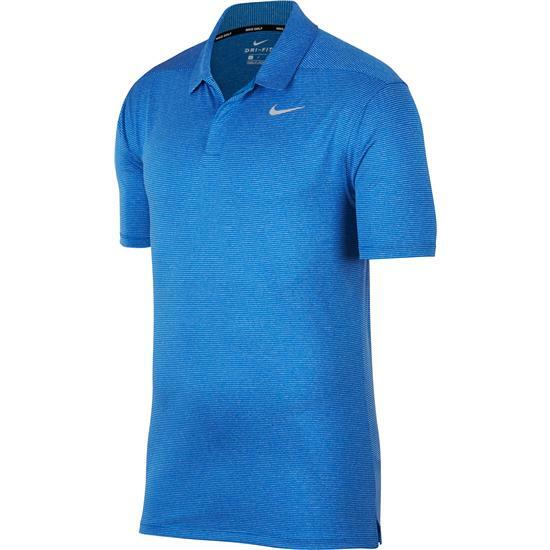 Lightweight fabric and Dri-FIT technology help you stay dry and comfortable in Men's Nike Dry Golf Polo. Rolled-forward shoulder seams and a standard fit help minimize distractions on course. You are about to post a review for Nike Men's Dry Control Stripe Polo based on your knowledge of its playability. This review will show up under all variations of Nike Men's Dry Control Stripe Polo, including new, personalized, and custom logo.